How new genetic techniques are revolutionizing the study of neural circuits for both invertebrate and vertebrate systems. Understanding how specific types of neurons contribute to behaviour is an ambitious goal. For invertebrate model systems (e.g. worms, flies), neurons in the brain are often too small to be studied routinely by electrophysiological approaches. For vertebrates, large ensembles of cells have to be studied, and these cells are often distributed over considerable volumes e.g. GABAergic interneurons in neocortex. Cell type-selective manipulations may be a way forward for treating illness. Before such aims can be realized, or even appreciated as feasible, the brain circuitry in experimental animals has to be known by both establishing the connections between cell types and reversibly manipulating the activity of the cells subtype-selectively. Methods that have all appeared in just the last couple of years to tackle this include: retrograde tracing of circuitry using viruses, ligand-receptor combinations that make subtypes of neurons uniquely sensitive to a drug (e.g. zolpidem, allatostatin, serotonin ligands or ivermectin), and light-activated channels and pumps for stimulation and inhibition. 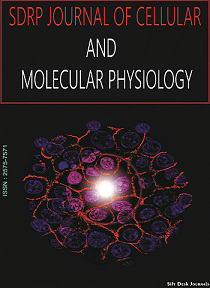 This collection of methods promises much, forming the new subdisciplines of “pharmacogenetics” and “opticogenetics”. These methods are revolutionizing the study of brain circuitry for both invertebrates and vertebrate systems.